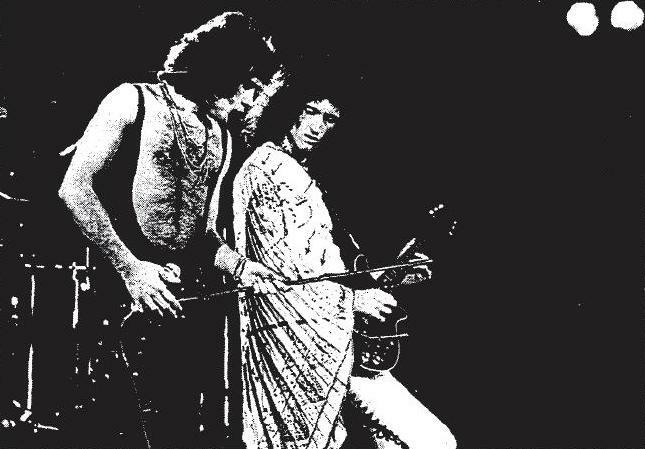 Brian May vowed to play the LA Forum after seeing Led Zeppelin play there in 1975 (the epic third night, March 27), and his dream came true two years later. 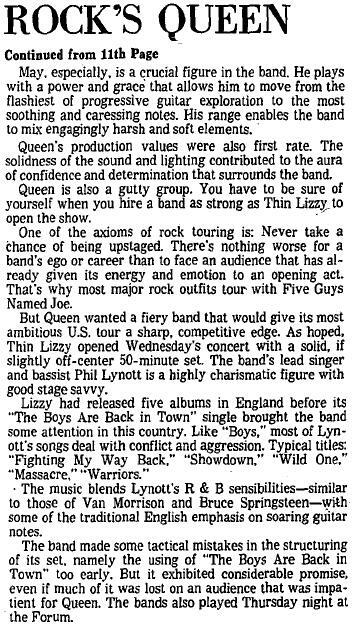 Here is a review of the show: (1, 2, 3). 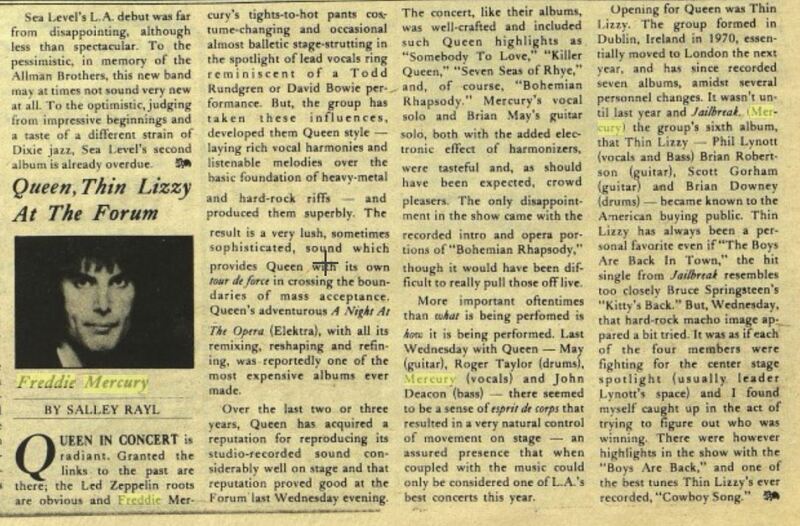 This second review says Seven Seas Of Rhye was played, which is almost certainly not true. The second row of pictures could be from either night. 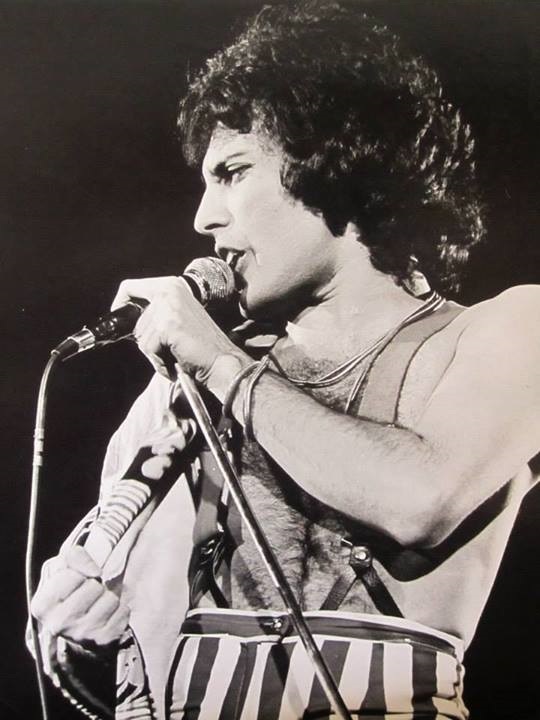 These photos by Jeffrey Mayer are purportedly from one of the Forum shows. This set taken by Neil Zlozower is from this show. 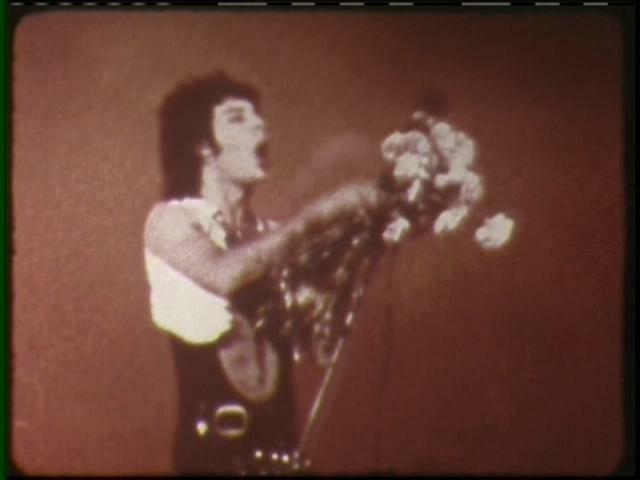 This silent video was labelled as "Los Angeles 77" for years. The 8mm master reel was found in 2006, sporting a Quebec mailing address, and labelled simply as "The Forum." 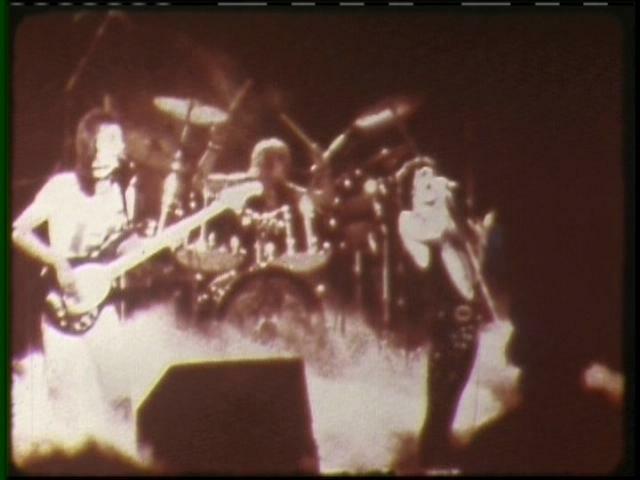 The assumption made at the time was that the video was from the January 26 show in Montreal, which proved to be impossible because John Deacon is seen playing his Music Man bass, which he switched to in February. Thanks to Sebastian for pointing this out. 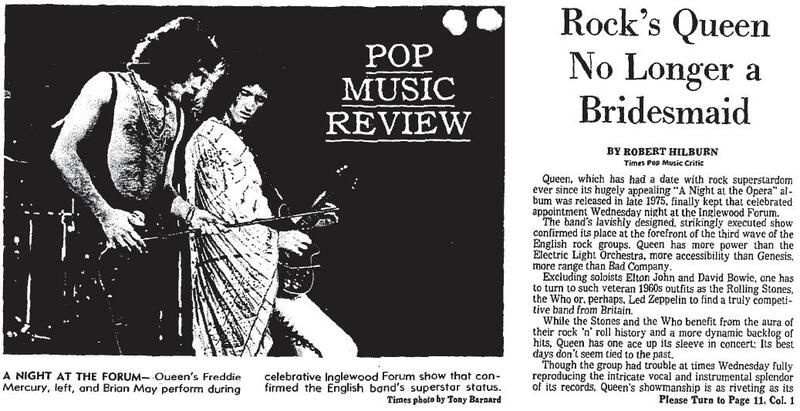 The video is surely from Los Angeles, as one can read Freddie's lips when he toasts the audience, saying "Cheers, Los Angeles." 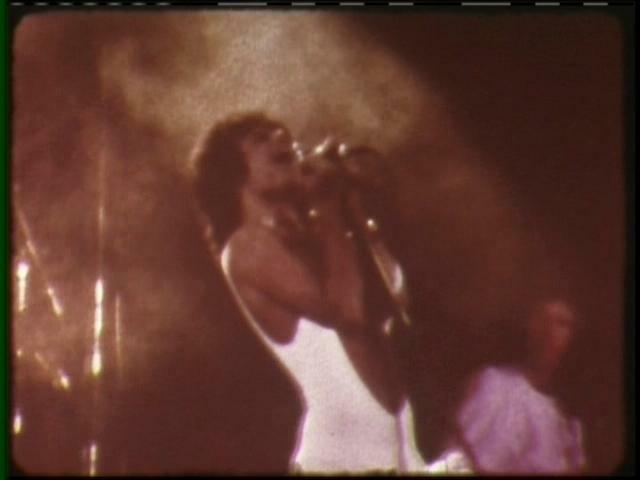 But when synced to the following night's audio, there are a few things that do not match, particularly the length of the word "battle" from Freddie near the end of the Ogre Battle clip. 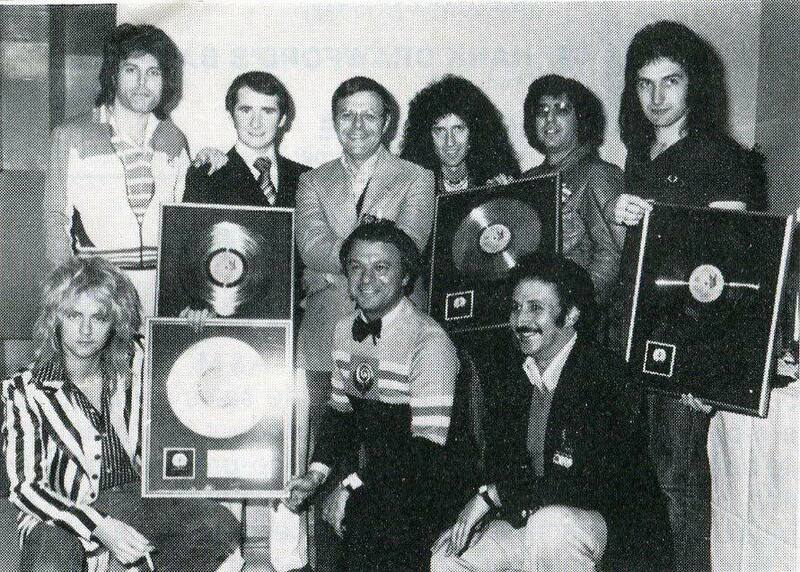 Thus the process of elimination points to this date, March 2, 1977. As seen in the screenshots, the master copy has actually lost most of its colour over the years. 8mm film was divided into two parts: half for audio, and half for video - but not all 8mm cameras were able to record audio. And so, the filmer decided to dub audio onto the video (from the studio LPs, as well as one of the Seattle bootleg LPs) which doesn't match the video, since it was a quick job with an intention to have an alternative to silence. After careful examination, the actual songs that were filmed are listed above. 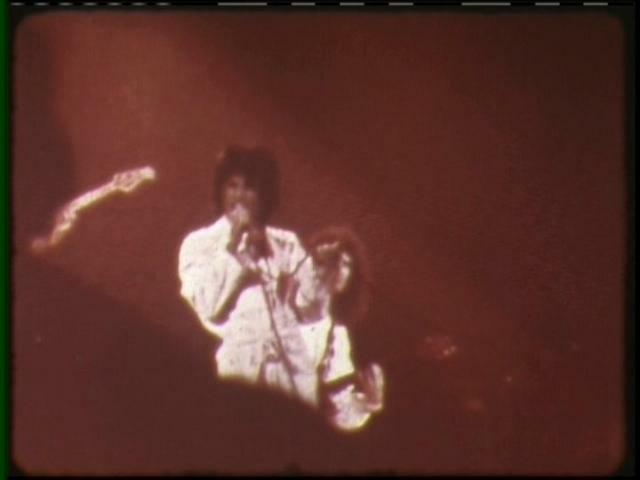 Like most 8mm videos from the 70s, the footage is very fragmentary. 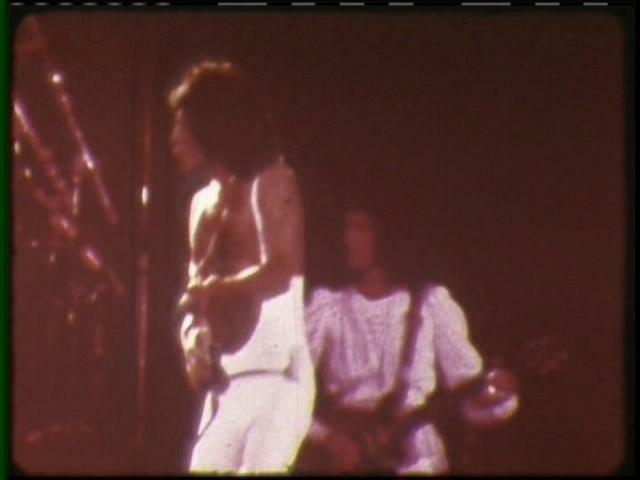 The video is 12 minutes long (13 with speed correction), with clips of over half of the songs performed at the show (including long segments of Ogre Battle and White Man). Any 22-minute long version actually repeats 10 of the previous minutes in a bit worse quality.